Has your little one outgrown his or her old clothes and diapers? Don’t throw them away just yet! Head down to the Bove x SuperMom Baby & Kids Black Friday Sale at Suntec City Atrium from 19 – 25 November 2018, and donate them to a good cause! For every 1kg of clothes and/or diapers that you donate, you will receive 1x FREE Drypantz pack (L15s/XL10s/XXL8s) as a token of our appreciation. Sizes are subject to availability and while stocks last. We hope to see you there! Stand to win prizes and be the first to know of exclusive deals when you follow Drypers on Lazada! Visit and follow Dryper’s Official Store here to qualify. Introducing the new and improved Drypers Wee Wee Dry range, exclusive to Singapore! Its new features include a Speedy DRY™ Layer that offers quick absorbency to keep the top layer dry, and Tummy Fit Guide™ to help you find the best fit for your baby’s body. The new Wee Wee Dry range is now available both in stores and online, get yours now! Have you spotted Jett, Dizzy, Jerome and Donnie in stores yet? Hurry down and get 2 packs of Super Wings Drypantz now, and you stand to win a limited edition hamper featuring exclusive Super Wings merchandise weekly! Character hampers change every week and are available while stocks last, so don’t miss your chance! Buy more and save more this Drypers Brand Day at Lazada! Exclusive voucher codes, promotions and free gifts on 25 July at Lazada. What's more? Enjoy express delivery too! Being a mum also includes learning about the strengths you never knew you had! Here’s to all you powerful mummies out there, we’re celebrating your unwavering strength with a special giveaway! Take part now in just 3 simple steps: 1. Upload a photo or selfie together with your LO. 2. Share an example in which you have shown strength in your motherhood journey. 3. Leave a message to encourage and cheer on your fellow mums! The top 5 most creative entries will stand to win a surprise gift! Sing along to the tune of “The Wheels on the Bus”! Have you seen our Drypers bus on the roads recently? Let us know and you could be the lucky winner of a Drypers hamper worth $50! Simply ‘Like’ if you’ve seen it around, or ‘Haha’ if you haven’t! 50% OFF our award-winning Drypers Touch! Your newborn deserves all the premium softness and comfort only the best diaper can give. Available for a limited time from 9-11 May, only on NB and S size diapers. Get yours on Redmart now. Enjoy 50% off our award-winning Drypers Touch from now till 29 April! Shop at FairPrice Online today for this exclusive offer on NB and S sizes. Hurry, while stocks last! 50% off Drypers Touch (Small)! Sale ends 12pm. Shop now at Lazada! https://goo.gl/5sd6Vh! This Lazada Baby Fair, use this voucher code for additional $5 off $50 spent on Drypers! 10% OFF STOREWIDE! Plus you get $15 off with promo code VIND15OFF when you spend min. $60 from 9 to 15 April. While stocks last. So hurry, shop now! Here's one for expecting and new mums. Ensure the gentlest care at premium quality for your newborns with 50% off Drypers Touch! Exclusively till 25 Feb only on NB and S size diapers, while stocks last. Click to purchase on Redmart now! These financial tips for new parents may seem obvious at first, but a timely reminder can get you started right away. Add one more tip to the list: keep your eyes on this page for cost-saving Drypers deals! Join us at Baby World from 19 to 21 Jan at Expo Hall 4, and receive an attractive freebie with your purchases! Simply spend $200 or more on Drypers products at the fair and receive a free Mayer 2.1L air fryer worth $129. Save the dates and head down early to make sure you don’t miss out on this amazing offer, while stocks last! Mummies and Daddies, we want to hear from you! 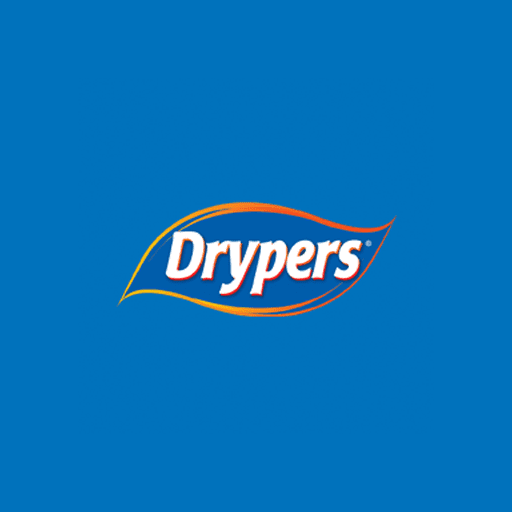 How has Drypers Drypantz helped you and your little ones? Tell us what you like most about Drypantz diapers in the comments from now till 21 Jan, and receive a set of exclusive Drypers red packets! First come first served, while stocks last. "Start the new year right by being smart about what you spend on. Every bit of savings will go a long way! Tip: Check out Drypers diapers for the ultimate value-for-money comfort for your baby. "